I admit it. I’m a recovering double opt-in fanatic. I was adamant that double opt-in confirmations were the only way to build a responsive email list. But I’ve changed my mind, and it is because of hard data. The “If the subscriber can’t be bothered…” idea only works if you assume that your recipient actually glances at the sender and subject line of every message they get like they do with their work or primary personal email. Our tests have shown that email newsletter subscriber behavior is changing. And it’s not great news. Confirmation rates have been plummeting in every industry over the past two years. These days the vast majority of people signing up for your email list are giving you their 2nd or 3rd or even 4th tier emails. You know – that Hotmail, Yahoo or Gmail address they check once per day. More likely every couple of days. Here is how people check their primary email address: like a Customs and Immigration checkpoint. Every individual email gets checked, evaluated and then either read, acted upon or archived. No single email goes by the checkpoint without being evaluated for action. Here is how people use their secondary email address: like a flowing river of information where emails are evaluated and deleted in batches. Think of your recipient’s email inbox as an actual flowing river – and your message is a boat. If they are standing by the riverside while a boat is going by, they will see it. If they aren’t by the river during that time, they won’t. They are seeing your email only if it happens to be delivered around the time they are checking that “river” of email. Sent yesterday or the day before? Forget it – they probably aren’t going to get that far down and your email will just be deleted along with hundreds of others that came by while they weren’t there. They aren’t treating that email account like a customs checkpoint. Forcing your subscribers to click on the confirmation link in the first email gives your recipients one fleeting chance to be by the river when your email boat comes by. Miss it (most will) and they never see your email boat again. As much as we’d like to think our subscribers are anxiously awaiting our confirmation email so they can click it and get the goodies, this just isn’t realistic. But that doesn’t mean they aren’t interested. They are. The UPS guy doesn’t give you one shot to be home or your package never gets delivered again. They re-deliver again until they do reach you. It’s not a perfect analogy, but you get the picture. Single opt-in will give them multiple chances to be by the river and see your boats come by. It gives you multiple chances to build that trust and show them the quality of content they can expect from you. Single opt-in normally gives you a bigger list (not in our case though – more on that in a moment), but I don’t care about that. I’m not concerned about the size of the list in absolute numbers. I care about the number of engaged subscribers who are opening and clicking the links. Bottom line: a lot of people who never open our first email, are opening the second or third. If we forced them to open that first or be off the list forever, we would have lost those opens and clicks down the road. No one wins. 1) We now use an email validation service to block bad emails at the form level. BriteVerify.com and XVerify.com both work well and eliminate 99.9% of hard bounce emails from ever getting on our list. It costs one penny per email and is worth, well, every penny. 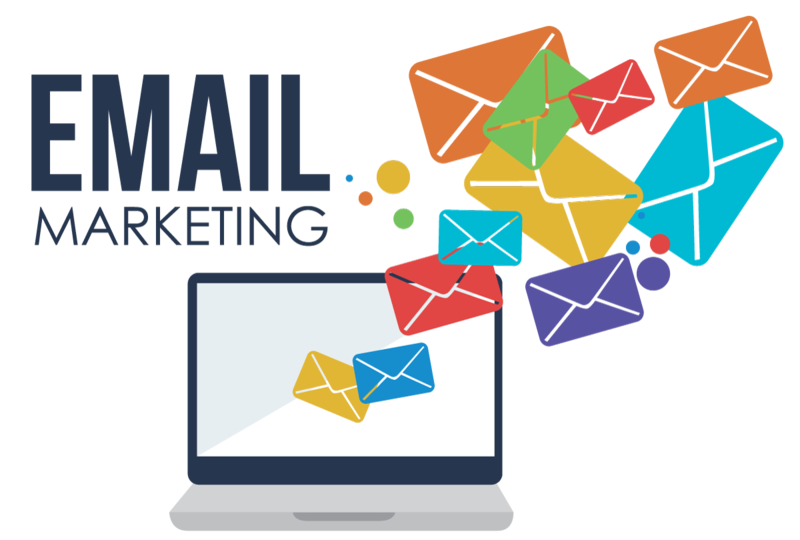 Most email services will automatically delete “hard bounce” emails after a short period of time, so you can rely on that if you want. We just like kicking that problem in the shin as early as possible. 2) We are fanatical about cleaning our list. In fact we probably go overboard here. Every 60 days we segment out any email subscriber who has not clicked on a link – and we delete them. Even if they opened an email in that time period, but didn’t click any links, we unsubscribe them. Yes even if they opened 2 emails but never clicked? There’s the exit, sir. Now don’t lose your mind here. You’ve come this far. Hear me out. We’re not newsletter guys. We’re not delivering the latest information about new legislation or the newest theories on K-12 education. Those types of informational update newsletters are excellent – but they serve a totally different purpose than ours. Our lists exist for one single all-encompassing purpose: to get more customers. We’re marketers not information publishers. If someone hasn’t clicked a link in any of the 8 emails we’ve sent in 60 days (our lowest volume list gets email at least once per week), we say good-bye and unsubscribe for them. If I haven’t convinced a subscriber that a single email I’ve sent to them is worth checking out after two months of emails, we’re not a fit for them. We send out at least one email per week. So at minimum we have sent 8 emails and none of them were interesting enough to them to even click. Remember, the single goal of my emails is to get the recipient to click and if they aren’t doing so in 60 days, then it’s time to show them the door. Am I missing out on sales that someone might give us after six months or one year on our list? Perhaps, but our tests have shown that the vast majority of people who buy from us do so in the first 60 days. After that, the percentage falls off a cliff and approaches zero after six months. (Remember, it’s not their primary email). Not every email asks them to buy something. Three out of four just give them great tips and strategies for free if they just click the link. But if they aren’t clicking those, they aren’t buying either. I’d much rather have my emails achieve nearly 100% deliverability because we don’t bombard the ISPs with hard bounce messages to old, unengaged or non-existent subscribers. It’s a tradeoff we’ve made and I believe it’s the right one. After a year of doing this, our open and click rates would make you drool. And our list is growing nicely even after fanatical cleaning. Go to single opt-in. Clean your list fanatically. It will be the best marketing decision you make in 2016.